You are on our old site (which gets resurrected once in a while), so please head to http://www.littlebang.org for our Little Bangkok Sangha. If you have been in Thailand, and have see the glittering temples, wouldn’t you like to know a little more about this ancient tradition of Buddhism? Or you know something of Buddhism, Yoga, Tai Chi, Qi Kong, Advaita etc… already, but like most people, you just read the books and figured you understand it, but still have not used it to change – then you need the support of a group to get your meditation practise going. Or maybe you have a practise, but it is weak – supporting a group, mixing with like minded people and getting yourself out the house to put your best foot forward is the best way to make it real for yourself. Forgiveness Explained in Three parts – Detailed advice on the systematic technique of forgiveness for oneself and others. This practice is indispensible for spiritual awakening and progress. Q & A Taking notes is recommended. Ajahn Pasanno is the most senior Western disciple of Ajahn Chah, other than the now-retired Ajahn Sumedho. He was formerly the abbot of Wat Pah Nanachat International Forest Monastery in the North-East of Thailand for many years before moving to California to head the new temple there. Hailing from Canada, he has a warm and engaging presence, and a wealth of wisdom from his nearly 40 years as a Buddhist Monk. He was instrumental in setting up the Western order of Buddhist monks, including the Siladhara line of ordination for women. This is a once-a-year chance to be with Ajahn Pasanno in the English language in Bangkok. Event is free of charge. Donations will go to Wat Abhayagiri. No need for advance booking. 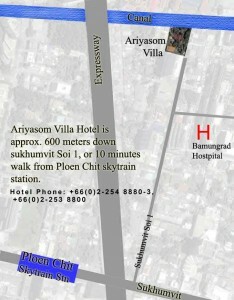 Location: Amarin Tower is close to Chit Lom BTS Station. Happily we can announce that two very respected meditation teachers will stop by in Bangkok to give a dhamma session with us. 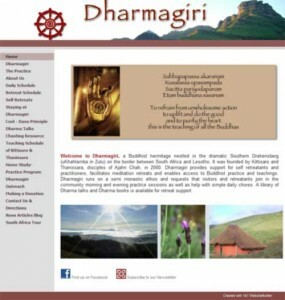 Kittisaro and Thanissara have been teaching dhamma for many years – both were originally ordained inthe Luang Phor Chah tradition (here is a very moving account of Thanissara who was one of the first four nuns to ordain in the UK), and since 2000 have been teaching from their meditation centre in South Africa. Their website is well organised and comprehensive, including recordings of their past talks. We will also hold a mini-workshop for experienced yogis in the afternoon of the 16th from 12 noon to 4 pm. If you are not experienced’ you can still join, but we’ll be assuming everyone has some prior understanding of meditation and dhamma terminology. 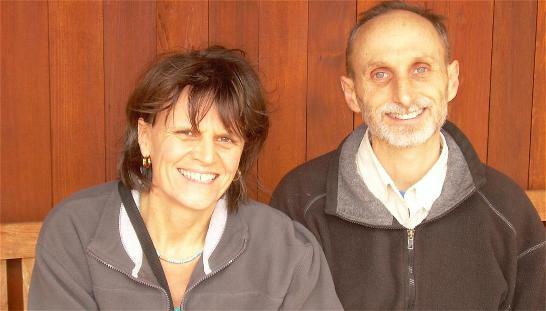 We’ll sit, walk, talk, and have chance for close Q&A with these two hugely experienced meditation teachers. 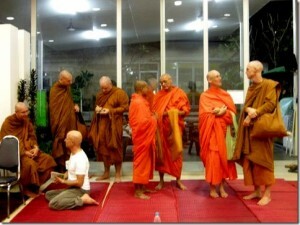 The exact format is open so they can adjust and share dhamma as appropriate to the group on the day. This is by reservation only, so please book your place on the form below. First come, first served. Goto our Contact page to make a reservation, or mail Phra Pandit if you know him.